You probably heard this word a thousand times but do you know what 'de-stress' really means? 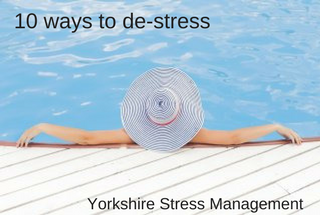 According to Oxford Dictionaries, de-stress means 'to relax after a period of work or tension'. So whether you’re stressed out or not after work and you take time just to relax, it’s already consider as de-stressing.